This post on my Wryheat blog provides summaries of rebuttals to claims made in the recently released Fourth National Climate Assessment Report. The authors of these rebuttals are all recognized experts in the relevant scientific fields. At the end of each summary is a link to the detailed rebuttal. Claim: Heat Waves are increasing at an alarming rate and heat kills. Claim: Global warming is causing more hurricanes and stronger hurricanes. Claim: Global warming is causing more and stronger tornadoes. 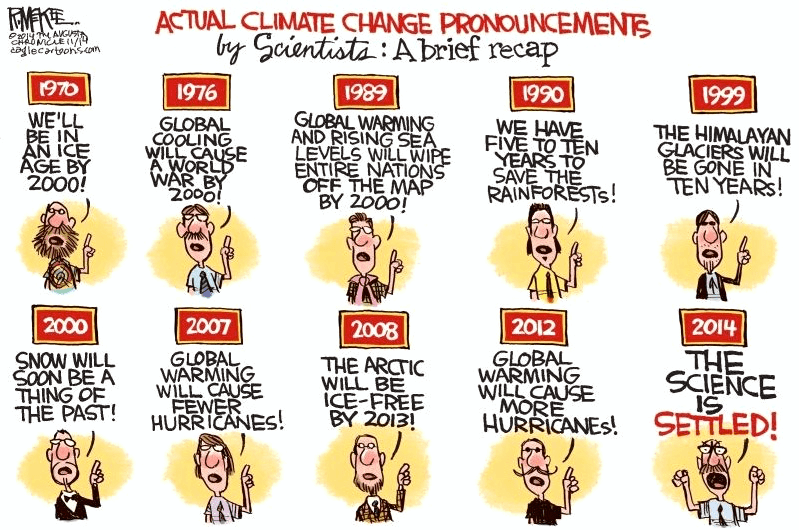 Claim: Global warming is resulting in rising sea levels as seen in both tide gauge and satellite technology. Claim: Arctic, Antarctic and Greenland ice loss is accelerating due to global warming. Claim: Rising atmospheric CO2 concentrations are causing ocean acidification, which is catastrophically harming marine life. According to climate models, water vapor and precipitation trends were supposed to have been enhanced as a consequence of rising anthropogenic CO2 emissions. And yet after compiling decades of observational evidence, it has been determined there has been no detectable global-scale human influence on the Earth’s hydrological cycle. Without water vapor-induced temperature amplification, the model-based consequence of doubling CO2 concentrations to 560 ppm (from the pre-industrial 280 ppm value) is a warming of just over 1°C. This temperature change is neither dangerous or even concerning.